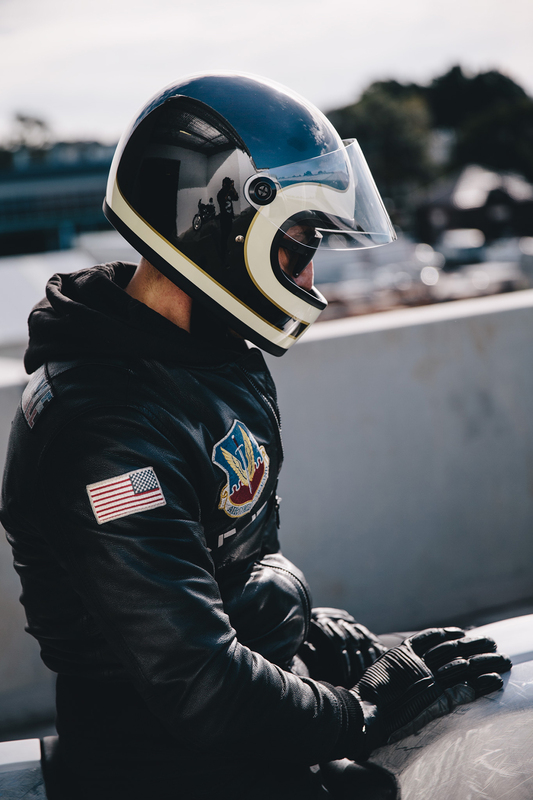 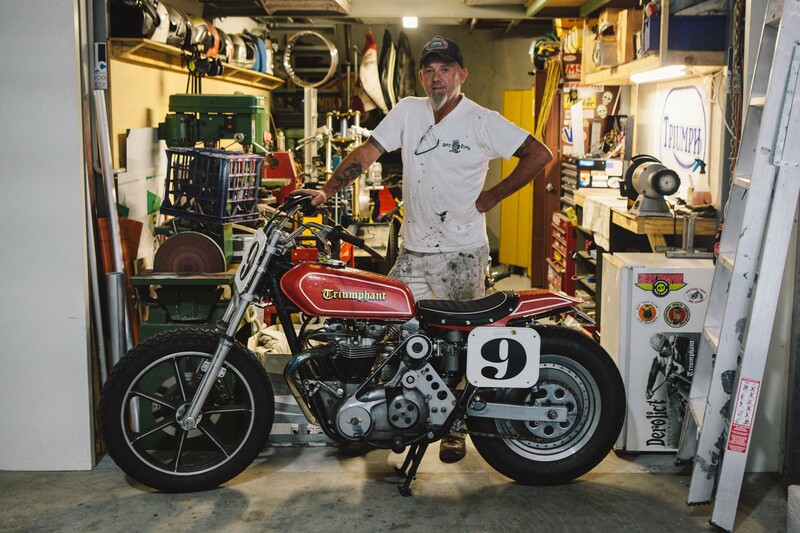 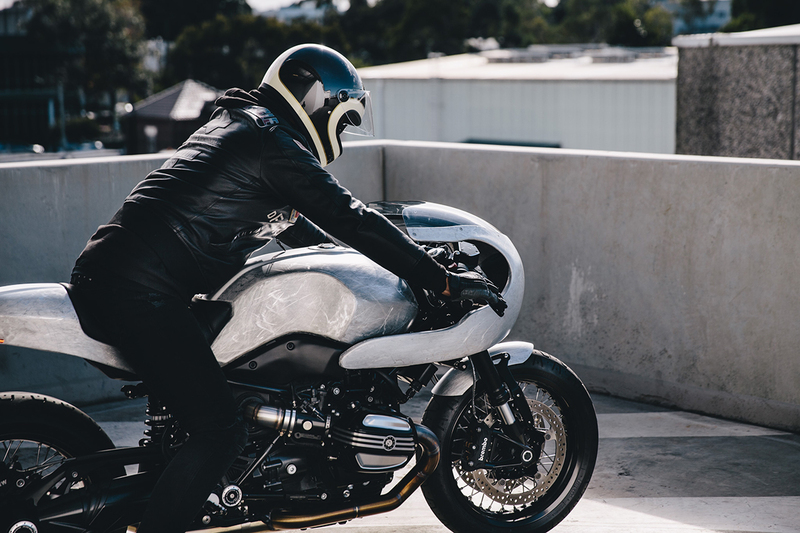 6 weeks in a wheel chair and 3 months being out of action gave Stuart plenty of time to mull over his next bike project, after a tourist ran a red light trashing both Stuart and his precious Triumph Thruxton. 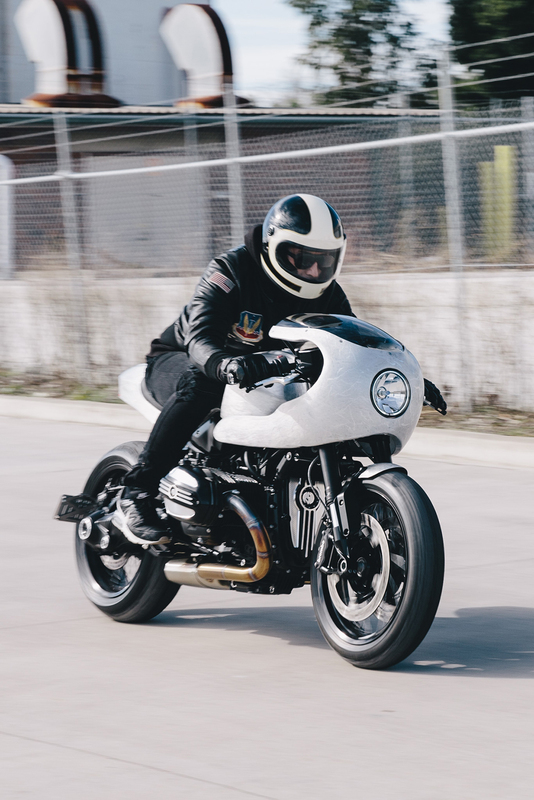 The result of this mulling around would be a brand new BMW R nineT turning up to Gasoline Motor Co. and the birth of ‘2shot’. 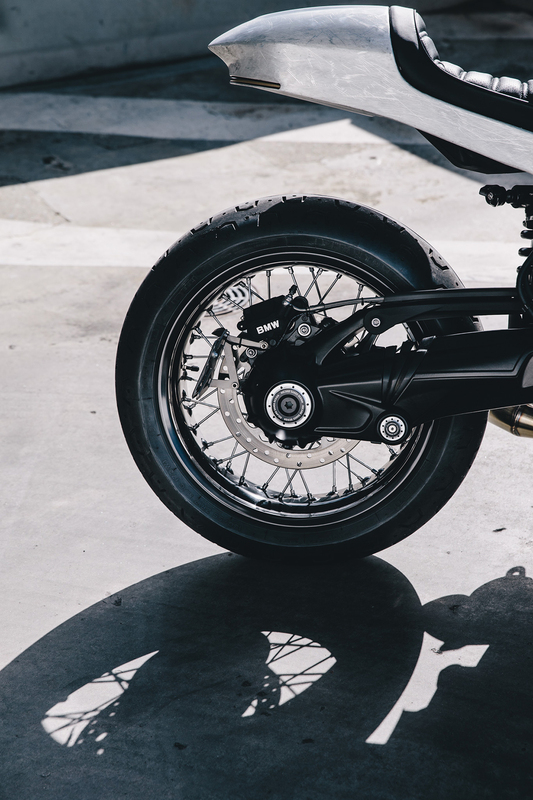 The bike would receive an extra dose of tech with a keyless system added, new gauges and LEDs. 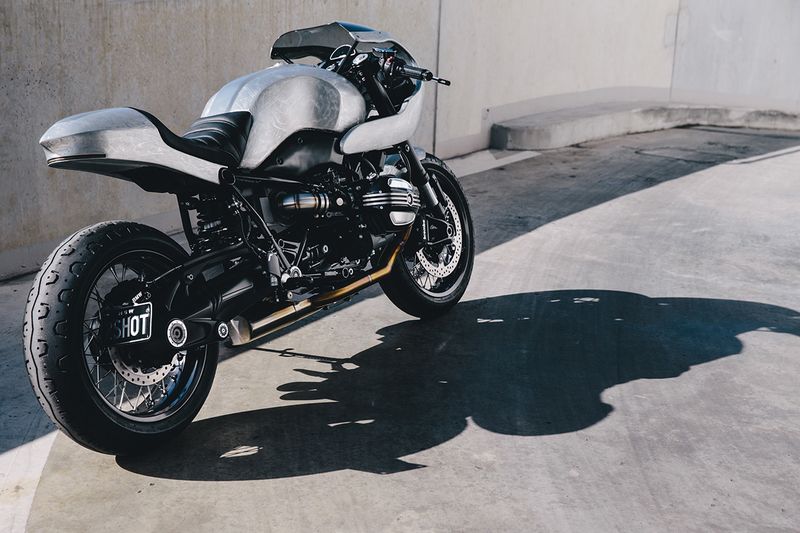 The bike would then be reverse engineered at Gasoline, with the body being stripped down and beaten back a few decades to be rebuilt with more retro styling and methods from Motorretro to be added to compliment the more modern changes applied by Gasoline. 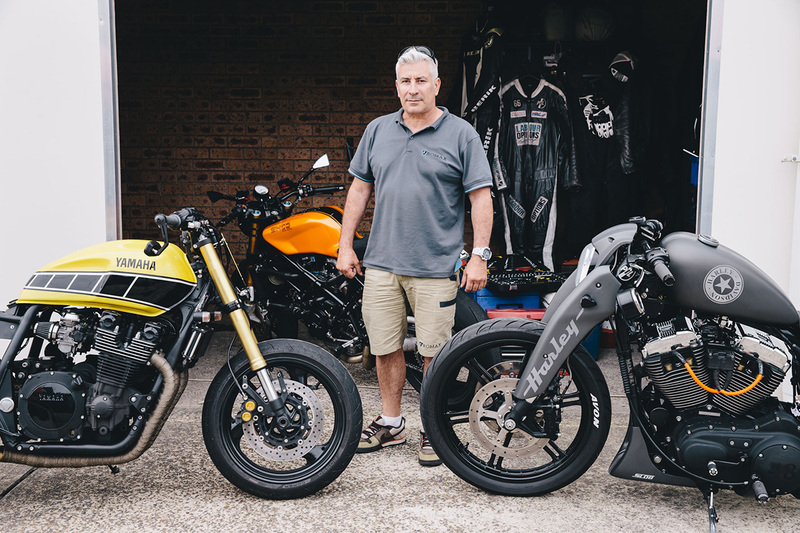 From here, Vaughan and Georgio got to work drawing two slightly different design sketches based off the previous meetings and Stuart’s portfolio of inspirations. 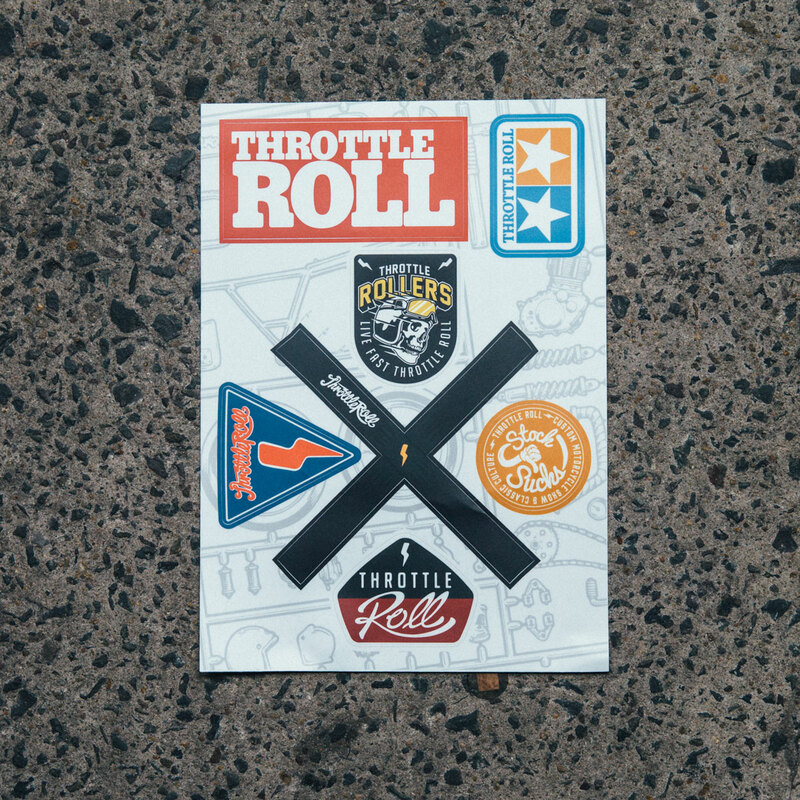 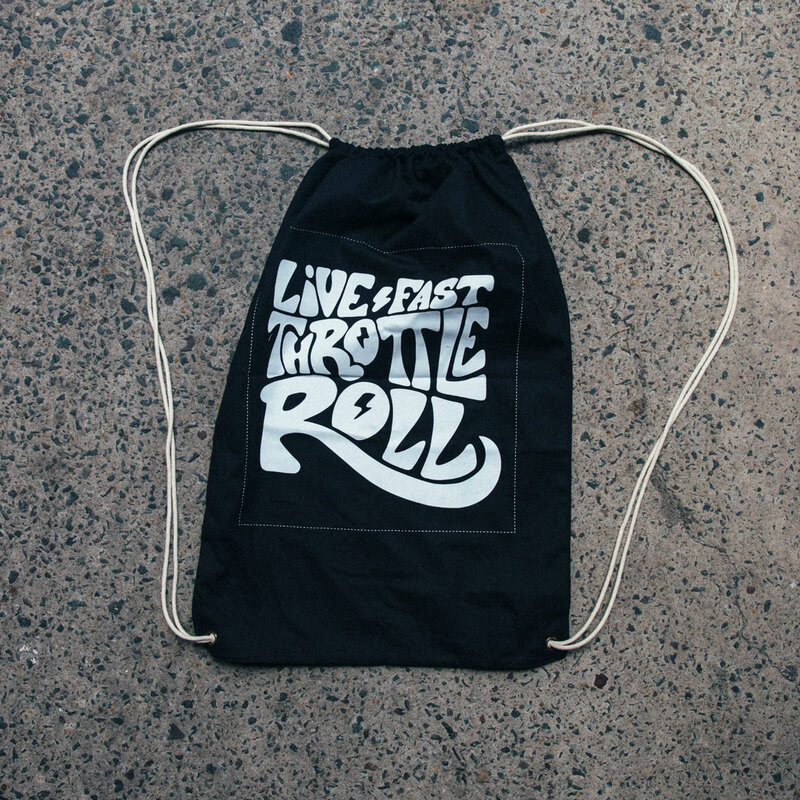 After agreeing on one of these designs, a start and completion date would also be locked in. 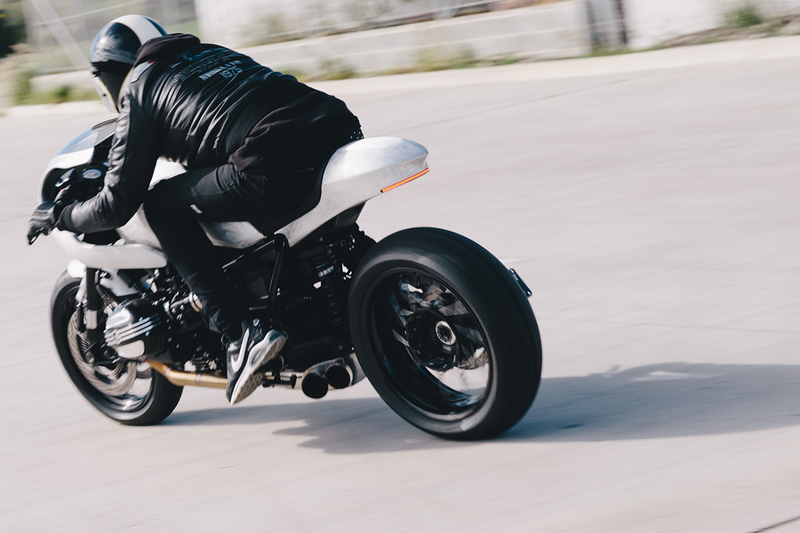 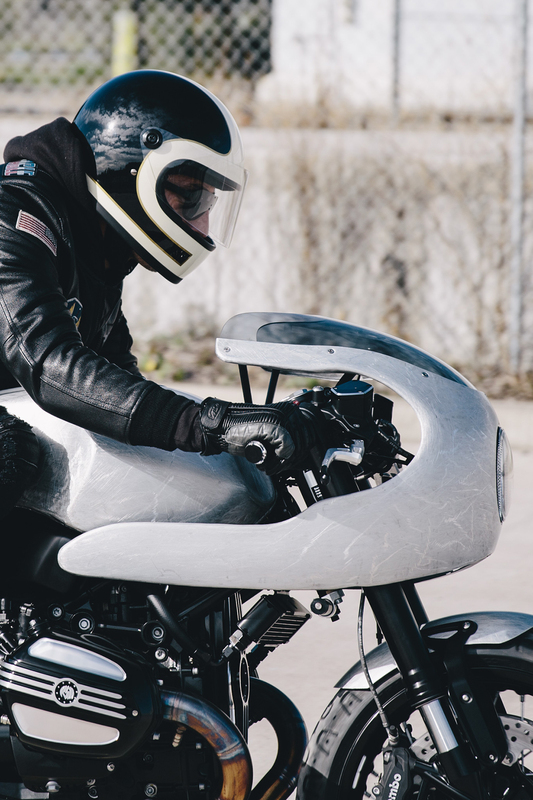 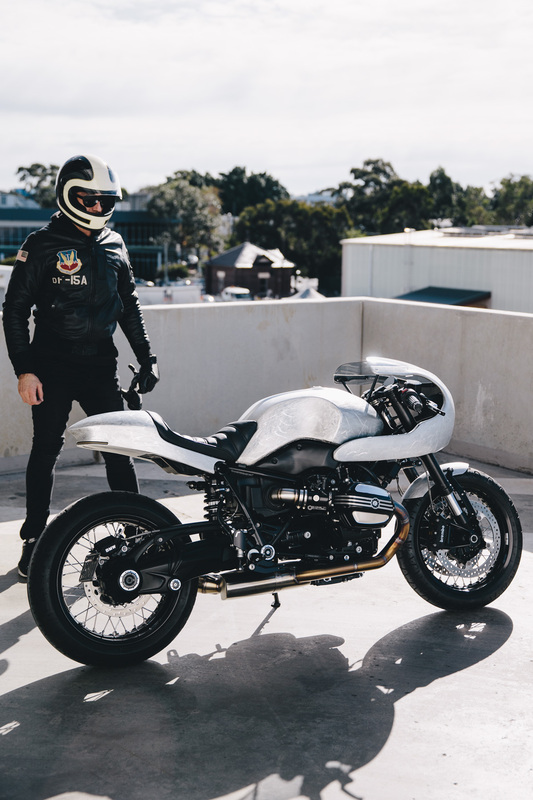 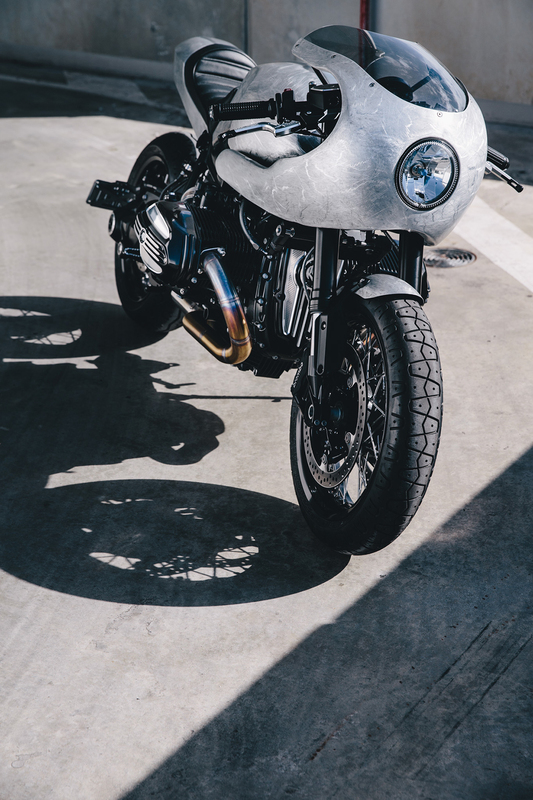 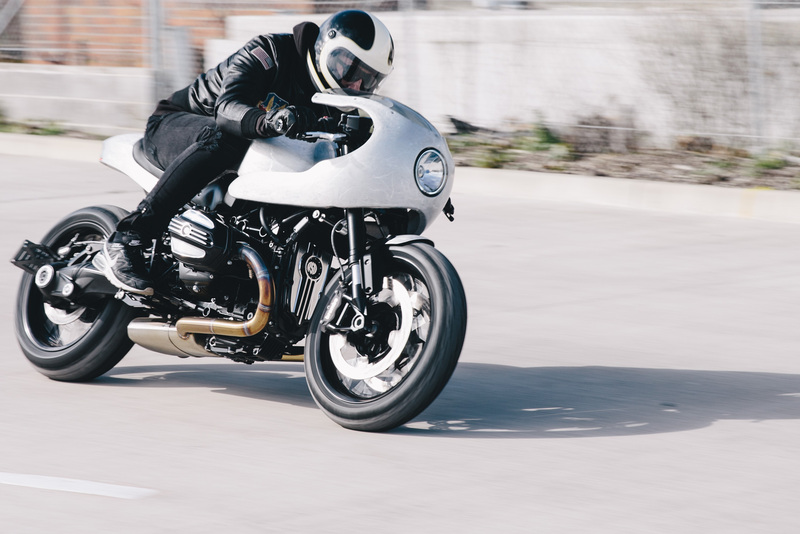 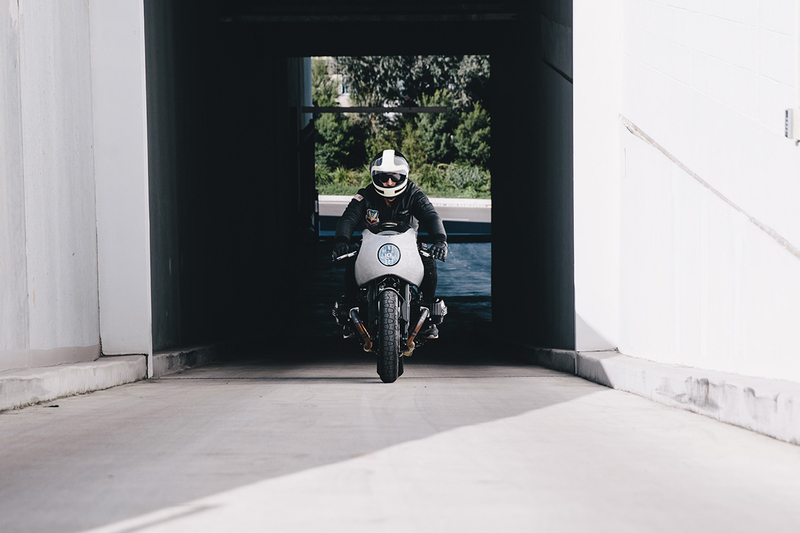 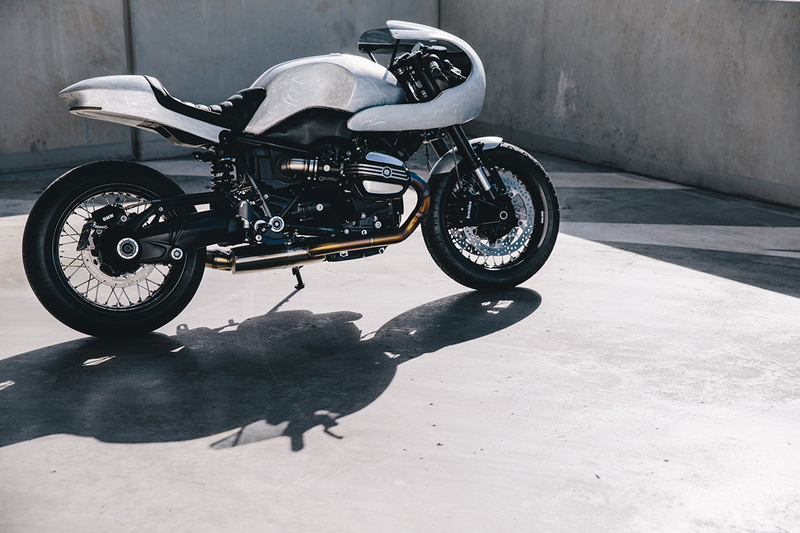 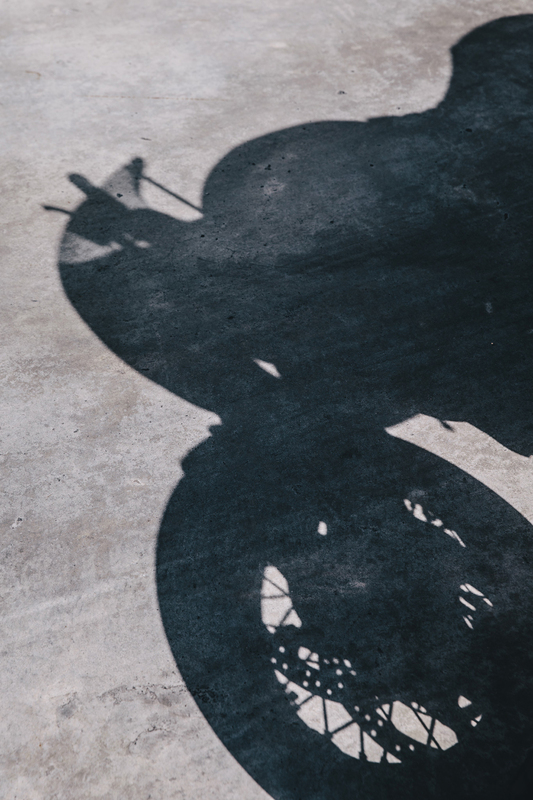 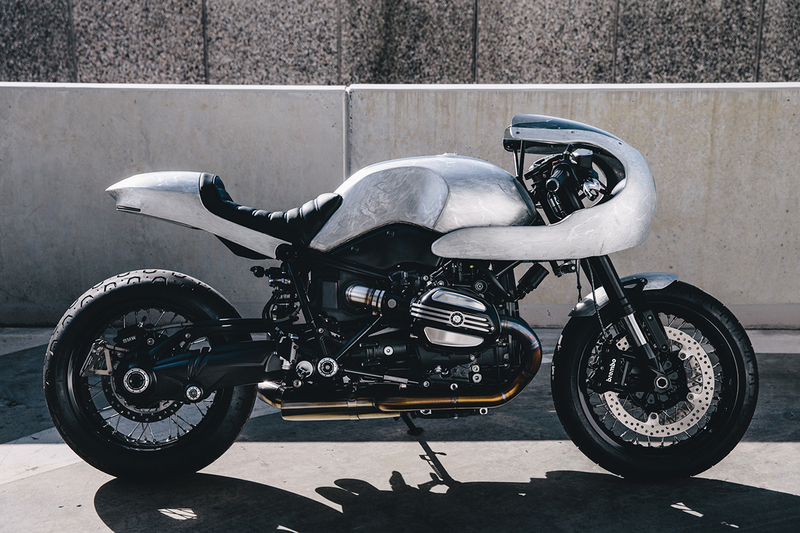 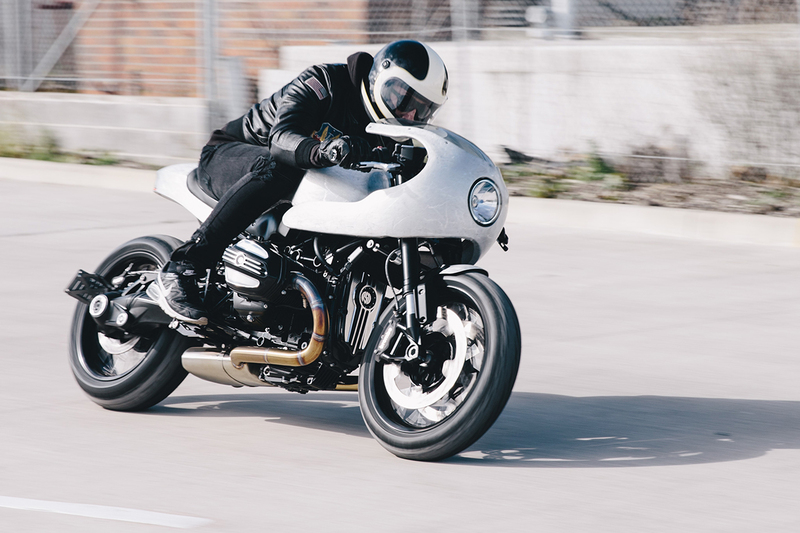 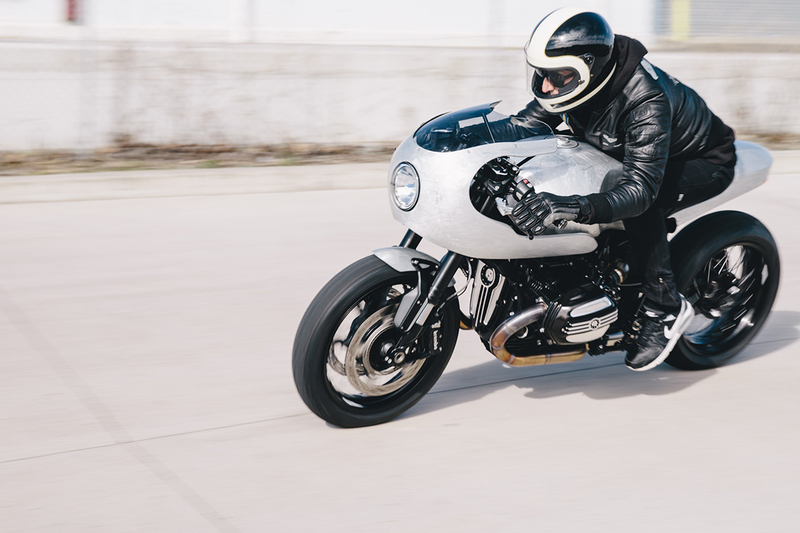 This bike would also prove to be the first professionally built bike the new Motorretro shop would complete – having previously built a R nineT with Deus after hours whilst Georgio and Vaughan were working as TAFE teachers. 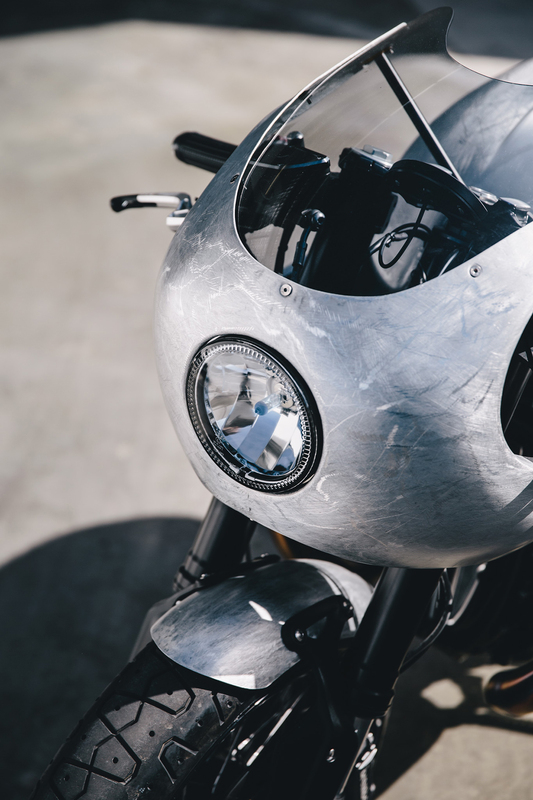 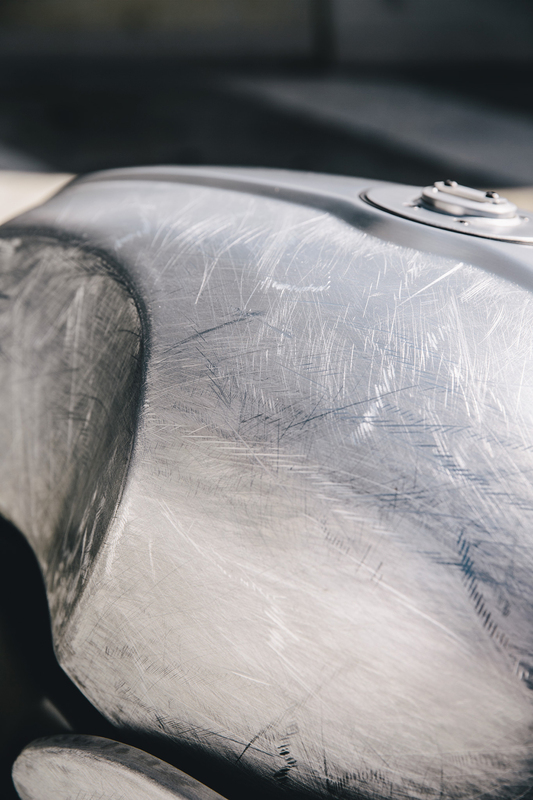 The surface finish on this bike was a very specific requirement for Stuart, wanting a very gritty industrial finish on all the parts that Motorretro made. 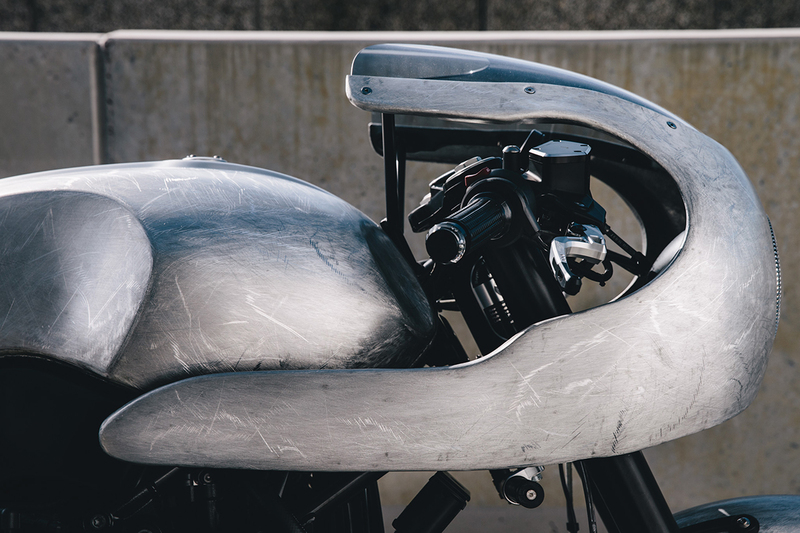 “In fact, we suggested we drag it behind a car for a while, so we staged a shot of the take being dragged behind Georgio’s car!” It would end up being a difficult surface finish for Motorretro to do, as they generally do jobs on cars and bikes that are to be polished or have high gloss paint finish. 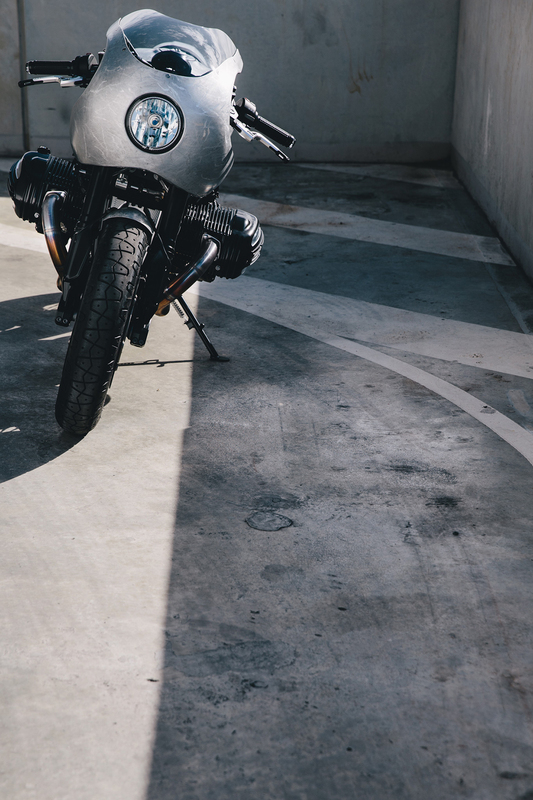 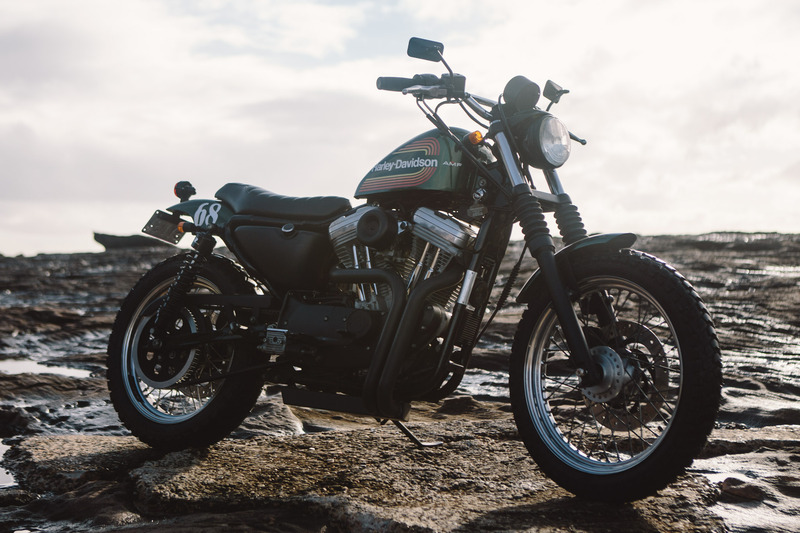 All the surfaces on this bike were to be roughed up by a course cut file blade in random directions, adding the gritty look that Stuart was after to the sleek steel surface.